Year after year the success of our tour relies on all of the dedicated people who help make it happen, and year after year these people shine. A big thank you to all of our volunteers, donors, foundations, corporate sponsors, and government funders for helping to keep Repercussion alive. 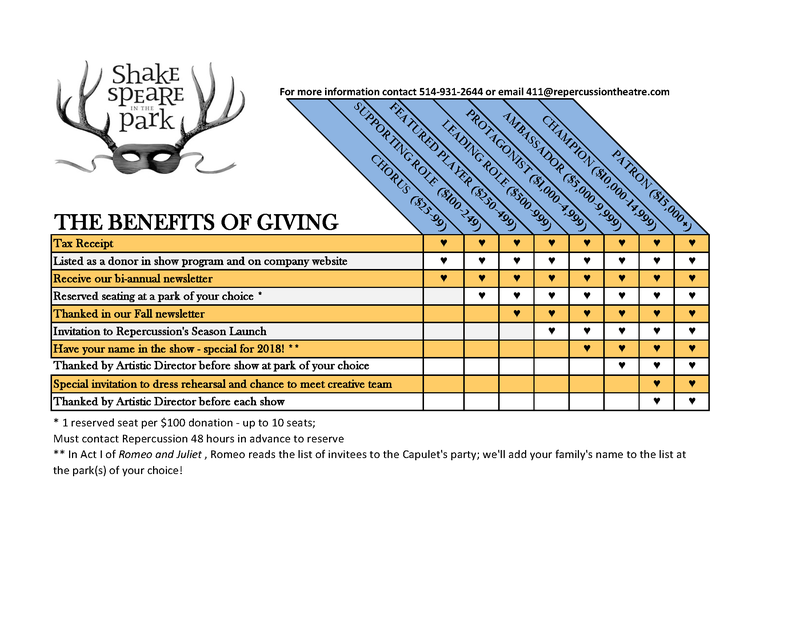 We’ve recently updated our donor title and benefits. Please check out the handy graphic to see all of the different levels and perks available! 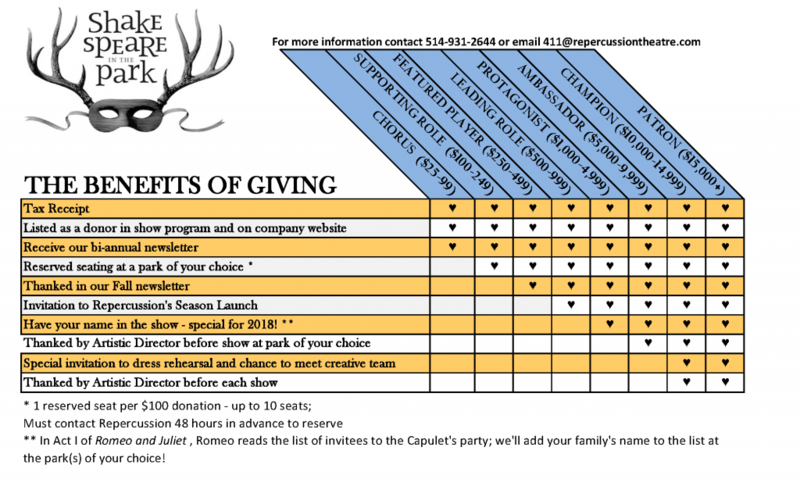 How does donation work at Repercussion Theatre? *Tax receipts will be issued for all donations of $25 or more. Mail: 460 Ste-Catherine Ouest, Suite 704 Montreal, Quebec H3B 1A7. Make cheque payable to “Repercussion Theatre”. 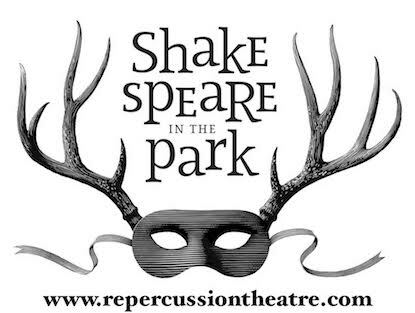 Web: Click here or visit CanadaHelps.org website and enter “Repercussion Theatre”. They can process your credit card donation in complete security. Once we receive notification of your support, we will send your tax receipt and other relevant documents directly to you.